The ultra powder 50 mg belongs to the family of microbial origin antidiarrheal. It contains yeasts that promote the restoration of the intestinal flora. This product is a medicament. You must check \"I have read the manual of this drug\" to add this medicament to your cart. This product is a drug. You must certify that you have read the leaflet before you can order this product. The ultra powder 50 mg is used in the booster diarrhea treatment, in addition to rehydration and dietary measures. Reserved for adults and children over 6 years. Excipients: sucrose, magnesium stearate, lactose monohydrate. Capsule shell: gelatin, titanium (E 171) dioxide, sulfur dioxide. Please read this leaflet carefully before taking this medicine. It contains important information for you. - If you have other questions, if you have any doubt, ask your doctor or pharmacist. - If you need more information and advice, please contact your pharmacist. - If symptoms worsen or persist after 2 days, consult your doctor. as serious, please tell your doctor or pharmacist. 5 HOW TO STORE ULTRA-YEAST ® 50 mg capsule. It is indicated for the symptomatic occasional diarrhea treatment, in addition to rehydration for adults and children over 6 years. If your doctor has told you (e) an intolerance to some sugars, contact your doctor before taking this medicine. - If you are carrying a central venous catheter. In case of doubt, it is essential to seek the advice of your doctor or pharmacist. 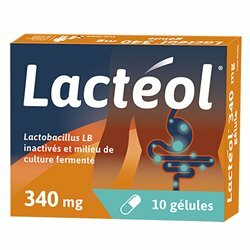 - The use of this drug is not recommended in patients with galactose intolerance, Lapp lactase deficiency or Lapp malabsorption of glucose or galactose (rare hereditary diseases). - This medicine contains sucrose. Its use is not recommended in patients with fructose intolerance, malabsorption of glucose and galactose or sucrase / isomaltase (rare hereditary diseases). to avoid colonization, especially handborne (made by hand), the catheter. Indeed, it has been reported in patients with a central venous catheter, even if not treated with S. boulardii, very rare cases of fungemia (from yeast in the blood) resulting most often by fever and positive blood cultures Saccharomyces. In all cases, these incidents have evolved favorably after administration of antifungal therapy and, where applicable, after removal of the catheter. • in case of intense thirst, dry tongue sensation. Indeed, such an early signs of dehydration that is to say, significant loss of liquid due to diarrhea. • a focus on grilled meats rice. 50 ° C), frozen or alcohol. In case of doubt, please consult your doctor or pharmacist. Do not combine this drug with an antifungal (active drug against fungi). It is preferable not to use this medicine during pregnancy. For adults and children over 6 years. 4 capsules per 24 hours in two divided doses. The capsules should be swallowed with a glass of water. - Rarely were observed cases of urticaria. this leaflet, please tell your doctor or pharmacist. 5 HOW TO STORE Ultralevure ® 5O mg capsule. expiry stated on the carton. it must be unused drugs. These measures will help to protect the environment. That contains ULTRA-YEAST ® 50 mg capsule? The other ingredients are lactose monohydrate, sucrose, magnesium stearate. The composition of the capsule shell: gelatin, titanium dioxide (E171), sulfur dioxide. This medication comes in capsule form in a vial (glass); box 20 and 50. The last date on which this leaflet was last approved on 18/10/2010. 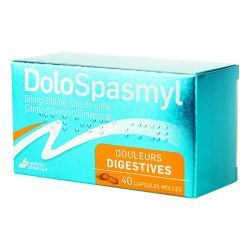 Detailed information on this medicine is available on the website of the AFSSAPS (France). - Feeding time diarrhea, focusing on grilled meats, rice. The intestinal flora is composed of billions of microorganisms. Balance is required to maintain certain essential functions of the gastrointestinal tract such as the digestion of food, defense against infectious agents, stimulating and strengthening the immune system. 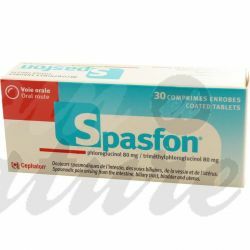 Substitution "which is used to compensate a transient imbalance in the intestinal flora. Warning, the drug is not a product like any other. Read the package leaflet before ordering. Do not leave medicines out of reach of children. If symptoms persist, seek the advice of your doctor or pharmacist. Attention to incompatibilities on products in your. Tell your pharmacist online treatments underway to identify possible incompatibilities. The checkout form contains a custom message field provided for this purpose. Click here to find record of the drug at the site of the National Security Agency of Medicines and Health Products. ULTRA-YEVURE 50 mg: capsule (white); box of 20. ULTRA-YEVURE 50 mg: capsule (white); box of 50. 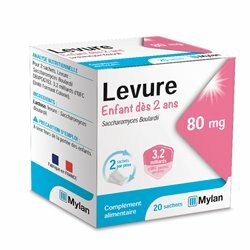 ULTRA-LEVURE 100 mg: powder for oral suspension (aroma tutti frutti); box of 20 bags. ULTRA-YEVURE 200 mg: capsule (white and violet); box of 10. ULTRA-YEVURE 200 mg: capsule (white and violet); box of 30. This medication belongs to the family of antidiarrheals of microbial origin. It contains a microscopic fungus (yeast) which promotes the restoration of the intestinal flora. It is used in the adjunctive treatment of diarrhea, in addition to dietary measures. If there is no improvement after 2 days of treatment, contact your doctor. Joint use of medicines to kill fungi (antifungals) is not recommended. This medicine contains only presumed safe substances during pregnancy or lactation. However, do not use it prolonged without the advice of your pharmacist or doctor. This medication should not be mixed with liquids or foods that are hot, frozen or alcoholic. The capsules should be swallowed with a glass of water and the contents of the sachets should be dissolved in a glass of water. Capsules are not suitable for children under 6 years of age. They may clog the airways if the child swallows and the capsule passes into the trachea (false route). Adult and child over 6 years: 2 capsules to 50 mg, 2 times a day or 1 capsule to 200 mg per day. Adult and child over 2 years: 1 sachet, 2 times a day. Diarrhea can cause dehydration, especially in children or the elderly. This loss of water by the body must be compensated by abundant drinks (salted broth, sugary drinks) because it can cause fatigue, discomfort or confusion of ideas. Should be avoided: raw fruit juices and fruit, vegetables rich in fiber, meats, eggs, dairy products and iced drinks. This medication should be stored away from heat and moisture. Urticaria, redness, itching, allergic reaction . The strict medical sense of diarrhea is "emission of stools too frequent and too abundant". In fact, common sense equates diarrhea with the notion of fluid and frequent stools. Normally, stools are pasty, but the emission of liquid or barely formed stools, without pain or particular associated disorder, is not pathological. Diarrhea may occur when liquid stool emissions are repeated throughout the day and the needs are overwhelming or painful. Many medicines can accelerate intestinal transit and make the stools more liquid, without this undesirable effect being of real concern. Antibiotics can alter the digestive flora, essential for digestion, and cause more or less troublesome but benign diarrhea. The effect appears immediately or after a few days of treatment. A severe and exceptional form of diarrhea, pseudomembranous colitis, can be observed after antibiotic treatment; this condition results in the emission of mucus and false membranes (resembling skin flaps) associated with abdominal pain; constipation may replace the initial diarrhea. Pseudomembranous colitis can occur several days after discontinuation of antibiotic treatment and requires urgent medical advice. Reaction due to hypersensitivity of the organism to a drug. Allergic reactions can take a wide variety of aspects: urticaria, angioedema, eczema, eruption of pimples resembling measles, etc. Anaphylactic shock is a generalized allergic reaction that causes discomfort due to a sudden drop in blood pressure. Treatment that complements the action of a specific treatment, but generally does not achieve healing on its own. Click here to find the record of this drug on the website of the National Agency for the Safety of Medicines and Health Products. Please read this leaflet carefully before you start taking this medicine because it contains important information for you. You should always take this medication exactly as prescribed in this leaflet or by your doctor or pharmacist. · Ask your pharmacist for advice or information. · If you experience any side effects, talk to your doctor or pharmacist. This also applies to any side effects not mentioned in this leaflet. See section 4. · You should talk to your doctor if you do not feel better or feel less well. 1. What is ULTRA-YEVURE 50 mg, capsule and in which cases it is used? 2. What information should I take before taking ULTRA-YEVURE 50 mg capsule? 3. How to take ULTRA-YEVURE 50 mg, capsule? 5. How to store ULTRA-YEVURE 50 mg capsule? 6. Package contents and other information. 1. WHAT IS ULTRA-YEVURE 50 mg, hard capsule AND WHAT IT IS USED FOR? It is indicated in supportive symptomatic treatment of diarrhea, supplementing rehydration in adults and children over 6 years. 2. BEFORE YOU TAKE ULTRA-YEVURE 50 mg, gelule? If your doctor has told you about an intolerance to some sugars, contact your doctor before taking this medicine. · If you are allergic to the active substance or to any of the other ingredients of this medication mentioned in section 6. · If you are carrying a central venous catheter. Talk to your doctor or pharmacist before taking ULTRA YEAST 50 mg capsule. The use of this medication is not recommended in patients with galactose intolerance, Lapp lactase deficiency or glucose or galactose malabsorption syndrome (rare hereditary diseases). The use of this medication is not recommended in patients with fructose intolerance, glucose-galactose malabsorption syndrome or sucrase / isomaltase deficiency (rare hereditary diseases). It is recommended that the capsule not be opened in the environment of patients with a central venous catheter to avoid colonization, especially hand-carried (catheter) colonization. Indeed, very rare cases of fungemia (passage of the yeast in the blood) have been reported in patients carrying a central venous catheter, even if not treated with S. Boulardii, which usually results in fever and positive blood cultures at Saccharomyces. · In case of intense thirst, sensation of dry tongue. Indeed, these signs show an onset of dehydration, that is to say a significant loss of fluid due to diarrhea. Your doctor will then judge the need to prescribe rehydration that can be done either orally or intravenously. - By favoring grilled meats, rice. ULTRA-LEVURE is made up of living cells: do not mix with liquid or food that is too hot (over 50 ° C), iced or alcoholic. In case of doubt, do not hesitate to consult your doctor or pharmacist. Due to its fungal nature, do not combine this medication with an oral or systemic antifungal medication (active against mushrooms). Inform your doctor or pharmacist if you are taking, have recently taken or may take any other medicines. If you are pregnant or breastfeeding, think you may be pregnant or plan a pregnancy, ask your doctor or pharmacist for advice before taking this medicine. It is best not to use this medication during pregnancy. If you discover that you are pregnant during treatment, consult your doctor as he alone can judge the need to continue. 3. HOW TO TAKE ULTRA-YEAST 50 MG, GELULE? Always take this medication exactly as prescribed by your doctor or pharmacist. Check with your doctor or pharmacist if in doubt. The recommended dose is 4 capsules per 24 hours in two doses. Reserved for adults and children over 6 years of age. 4. WHAT ARE POSSIBLE SIDE EFFECTS? - Rarely have been observed cases of urticaria. By reporting adverse reactions, you are helping to provide more information about the safety of the drug. 5. HOW TO STORE ULTRA-YEVURE 50 MG, capsule? Do not throw any medicines into drains or rubbish. Ask your pharmacist to remove any medications you are no longer using. These measures will help protect the environment. This medicinal product is in the form of a capsule (bottle (glass) with a (polyethylene) cap) of 12, 20, 30, 40 or 50 capsules. Detailed information on this medicine is available on the ANSM website (France). · Feeding time diarrhea, preferring grilled meats, rice. What is a substitute flora? The intestinal flora is made up of billions of microorganisms. Its balance is necessary to maintain certain essential functions of the digestive tract such as digestion of food, defense against infectious agents, stimulation and strengthening of immune defenses. But this balance is fragile and can be called into question by many factors: intestinal infections by a virus or a bacterium, taking certain drugs such as antibiotics, changes in eating habits ... which can lead to various digestive disorders including diarrhea. Ultra-Yeast is a drug of the intestinal flora called "substitution flora" which compensates for a transient imbalance of the intestinal flora. Diarrhea is a common disease. She reached the Transit and transforms the state of stools: they become loose or watery, sometimes uncontrollable If diarrhea, oral rehydration therapy is paramount.. In the elderly, such as infants, oral rehydration sachets are used to stop dehydration. Rehydration solution of the bags are available in pharmacies, even in tropical countries Sometimes it is necessary to prescribe an antibiotic treatment. There are also several categories of antidiarrheal adult intestinal transit retarders: they are based antidiarrheal loperamide. Some packages are sold without prescription. Than recommended by your doctor or pharmacist and do not continue the treatment for more than two days without medical advice.